One of the things I love about holidays is making crafts with my kids. Yesterday I brought home a bunch of fun stuff to use on our Christmas Crafternoons. 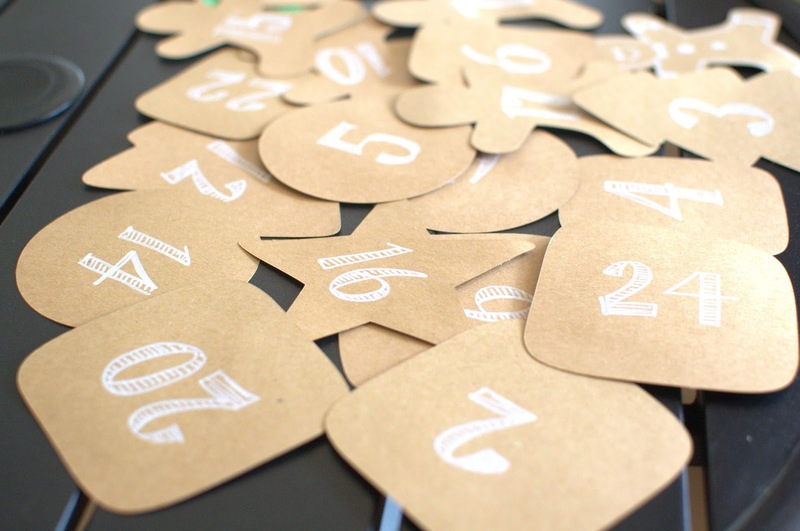 We were in need of a simple new Christmas count down so we made one out of paper. It was totally inspired by the Caravan Shoppe. I hope you've heard of them. I love, love, LOVE their stuff. We bought the Halloween Countdown from them in October and it was so much fun I have been trying to think of a way to translate that into a Christmas themed one. Then they released their Cookie Garland and that was the idea I needed. I wish they would make one next year cause I know theirs would turn out 1000 times cuter. But I had so much fun making one up with the kids. The backs of the cookies have numbers and then you flip them to see the decorated side each day. Want to make one too? It's not too late. Here's how I made it. 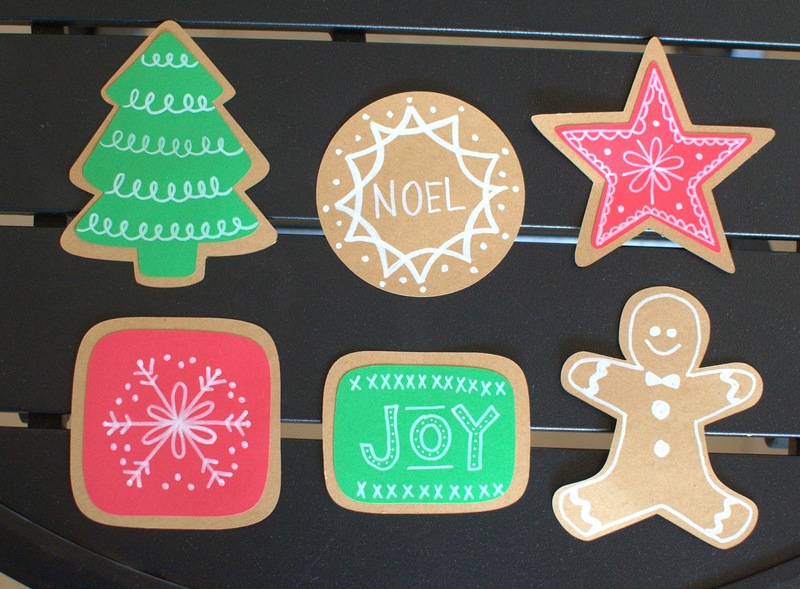 I used my Silhouette Cameo cutter to cut all the shapes so it was pretty fast. I drew them up in Inkscape and then imported them into the Silhouette software. If you don't have a Silhouette cutter you can print them out on cardstock and cut them out by hand. 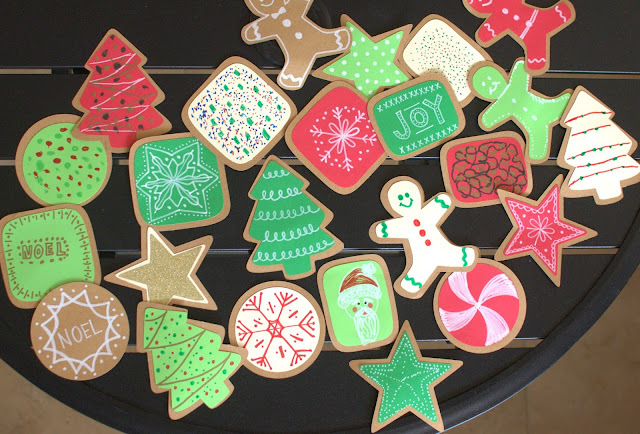 After cutting it all out we glued the frosting to the cookies and "decorated" them with markers and chalk markers. I love how the chalk marker looks on the paper. 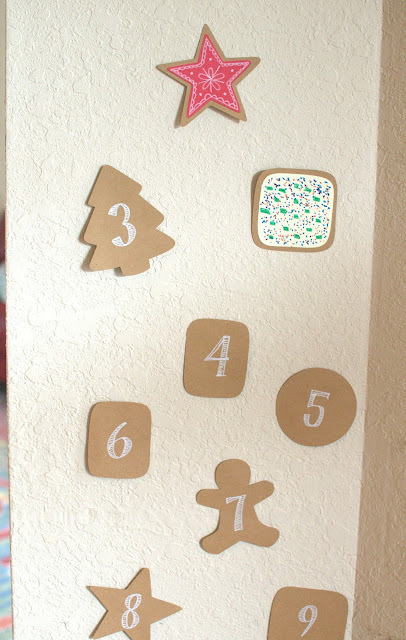 Then I just free handed some numbers on the back and stuck them on the wall. The kids come down each morning and turn one around to see which cookie it is. They are especially excited when they and find one that they made. They easily stick on the wall with sticky tack.